You shouldn’t lose if you choose Snuz. Not with the sleep benefits of a company with over 50 years experience in the industry, at least. 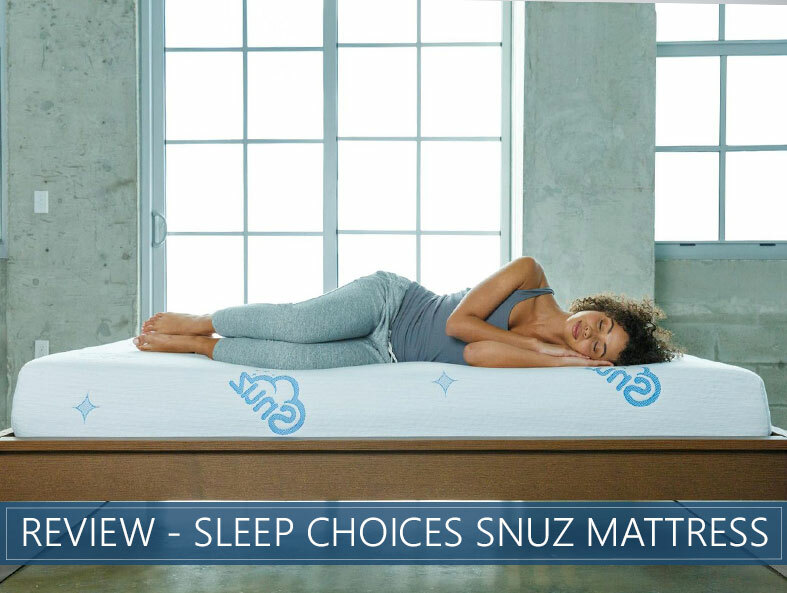 Designed with minimizing overheating, promoting proper spinal alignment and customizing pressure relief in mind, Sleep Choices aims to provide you with a product that takes the pain out of bedtime. Our in-depth Snuz review will look at how this product is constructed. We’ll give you ratings based on key mattress-shopping priorities and give our suggestions as to who this item is best-suited for. Read through the entire analysis for a detailed look at this bed’s features and strengths. Or feel free to skip to the end for our overall impressions and rankings. Want personalized pressure relief – With 7 different comfort zones, this item should give you the right amount of pushback or pressure relief as needed for ultimate comfort. The zones are designed to work the same way even after you rotate your mattress. Sleep hot – Aerated materials, graphite, and phase-changing technology are all designed to prevent overheating. Want a comfortable bed for an affordable price – The different zones and cooling technologies inside this bed may feel like a luxury product but this item’s affordable prices shouldn’t break the bank. Have considerable weight concerns – This item has a weight limit of 250 pounds per person. Those with higher weight concerns may want to search for enhanced stability. enhanced stability. For more top picks by category, check out our top-rated beds. Snuz is an all-foam construction that ships compressed in a box. The mattress can be used on a sturdy, flat surface or slatted frame, including the floor or an adjustable base. The company sells proprietary box springs and bed frames through their website. 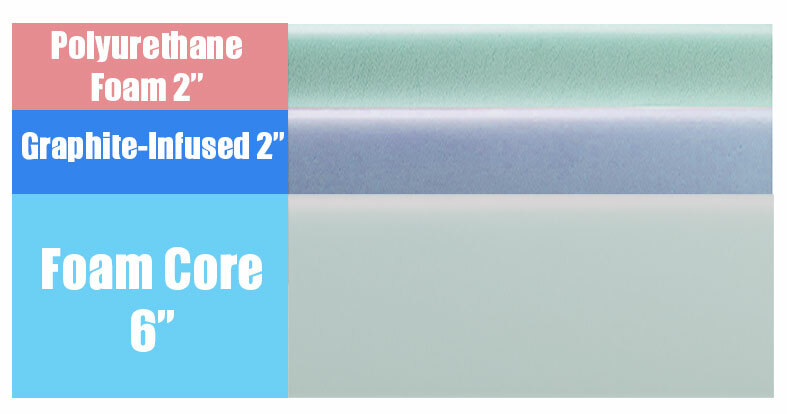 The cover of this 10-inch bed is a polyester and rayon blend with Feran Ice phase-changing technology sewn into it to promote a cooler sleep experience. The cover can be removed via a convenient zipper for machine washing. However, the company recommends using a mattress topper rather than removing the cover as it can be difficult to put it back on the foam. The first layer contains 2 inches of High-Density Polyurethane Foam. This layer is designed with 7 comfort zones to provide enhanced support or pressure relief as needed. The zones should work the same way after rotating the bed. The second layer consists of a 2-inch Graphite-Infused Memory Foam. This should wick moisture from the body, promote cooling, and contour to the body. The final layer is comprised of a 6-inch Foam Core. This should provide stability and support to the upper comfort levels. We rank this item at a 5-6 on our Firmness scale that uses a 1-10 system to determine the overall comfort level of the mattress. Using this system, you should find a 1 feels Soft as a cloud and a 10 should feel Firm like a rock. The 5-6 rating should feel like a true Medium to most sleepers. Each zone is designed to create the right amount of support or pressure relief for a specific area of the body. Heavier areas should sink to minimize pushback and lighter areas should float closer to the surface. The Softer areas with more sinkage are aerated to promote airflow. Back sleepers should experience a Medium feel and a neutral spine, especially due to the zones which should distribute weight evenly and prevent too much sinkage. Those who like a Medium feel should find this product suits their needs. Side sleepers often prefer a Softer feel as heavier areas such as the shoulders and hips tend to experience pain from pressing into the bed. The zones in this item should allow these areas to sink in enough to reduce this pressure. Stomach sleepers typically opt for a Firmer feel to prevent their backs from becoming misaligned as their hips sink into the comfort layers. Many of these types should find this product suitable for their needs, though those with significant weight concerns may find they sink too deeply and might want to opt for a Firmer bed. Most shoppers should find this item works well for them, though heavier stomach sleepers may need something that offers a little more solid support. This mattress is designed to best serve buyers up to 250 pounds. 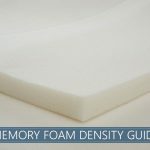 All-foam items tend to perform well in this area, especially when compared to innersprings which can allow energy to travel throughout the mattress. Being made of multiple layers of dense foam, this bed should absorb most vibration to prevent sleep disruptions from restless partners. Those who share their mattress with children or pets should find this especially useful. You may notice some compression when sitting on the edge of this mattress, which could cause more sinkage than is preferable for some shoppers. Lying down at the edge should feel stable and consistent to the middle of the sleep surface. This is not unusual for an all-foam construction and is not often a deal breaker for most shoppers, though co-sleepers may appreciate the ability to lie on the edge. Trial Period – Shoppers may test out their new mattress for 100 nights. Warranty – Sleep Choices offers a 10-year warranty. Shipping – This mattress ships free in the continental United States. An added fee is required to ship to Alaska and Hawaii. CertiPUR-US® Certified – This certification guarantees this product has low VOC emissions and is free of harmful chemicals or metals. Zoned pressure relief and cooling technologies should combine to keep you cool and comfortable all night long. If you are looking for comfort, support, cooling technologies, and an even cooler price tag, you’ll definitely want to check out the Snuz. Fans of a Medium feel should see a lot of value in Sleep Choices’ universally comfortable mattress that is zoned to provide the right amount of support for people of all sleep preferences. Stomach, back, or side, this mattress is in the zone.